Sellers say time to sell! USDA 100% financing available! Priced over $25,000 below recent appraisal. 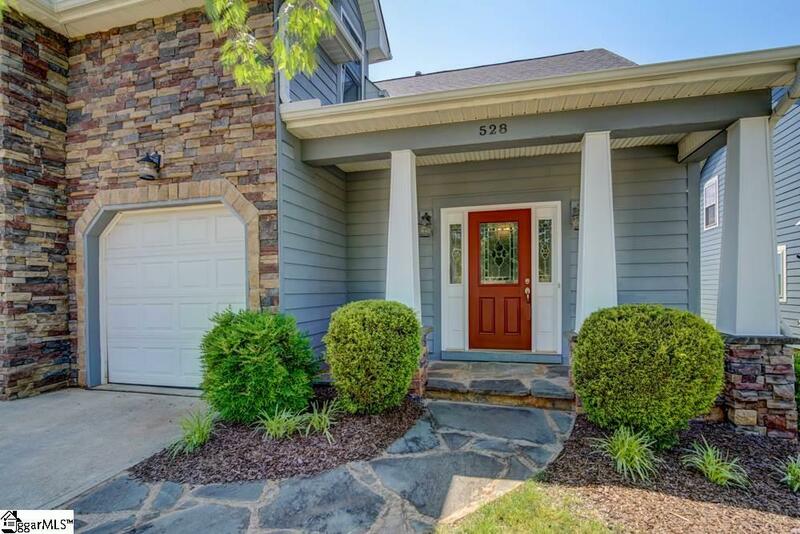 This home boast quality construction, scenic mountain views, and a convenient location tucked right off of Hwy 290 and near I-85. As one of the original Cato builds this home contains many decorative touches which include 10 ft ceilings, arched doorways, niches, and embellished vaulted ceilings in the master and bonus room. Hardwoods flank the entire living, dining, kitchen and hall. The living room has a gas fire place with two coat closets. The open floor plan invites you right into the formal dining room with French doors and kitchen with granite countertops, upscale cabinetry, HUGE pantry, Butler&apos;s pantry, and breakfast area with built-in desk/storage. The refrigerator will stay with the home. Do not miss the impressive octagonal-ceiling in the master suite located on the main floor. There is walk-in closet, double vanities, separate shower, jetted soaker tub, and water closet. Upstairs has two additional bedrooms with closets that could be considered small rooms and shared bathroom. The 20x20 ft bonus with vaulted ceiling adds even more room for entertaining. The newly added sun room and trex deck with become one of your favorite spots in the home to enjoy the gorgeous mountain view as the sun rises and falls. This neighborhood amenities include a 1.5 acre park located in the middle, a club house complete with work-out space, kitchen, and huge recreation room with rock fireplace, and a junior Olympic pool with wading area that opens from Memorial Day to Labor Day.